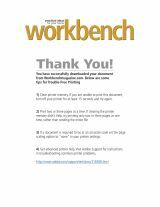 Build a cabinet with free how to DIY plans. A kitchen cabinet, a bathroom cabinet, and garage cabinets may all differ in appearance and design. But they share the common function of providing storage space for household items. Convenience and accessibility are two factors to keep in mind while designing and organizing your storage. Here are some great free kitchen cabinet plans, bathroom cabinet plans and garage cabinet plans to build to add to your organized space. 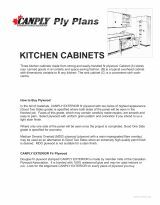 A collection of kitchen cabinet plans. This plan has diagrams and instructions to help you build a 36”x 36” corner base cabinet. Material list and diagrams to build a kitchen pantry. Build a cabinet to store can goods or a sink cabinet. An easy to build DIY bathroom sink cabinet that is inexpensive to make. This decorative medicine cabinet is a nice storage piece. These extra deep utility cabinets are quick and easy to build with free plans.. Build more storage for your garage using these cabinet plans. Plans to build a wall mounted tool cabinet. Build a basic cabinet for your garage. This wall cabinet features a mirror back. Show off your treasured items with a curio cabinet. Build a lockable case to store and display your guns. Basic cabinet construction is the same for most cabinets. Free plans are nice, but if you want to buy a cabinet plan instead, check out the variety listed below. Individual cabinet plans are available as well as books. Revamp your old kitchen into a dazzling new kitchen space. Now you know why they say ‘Old is Gold’. Breathe a new life into your bathroom with this special guide on bathroom cabinet plans. Using your bathroom never got this exciting before.